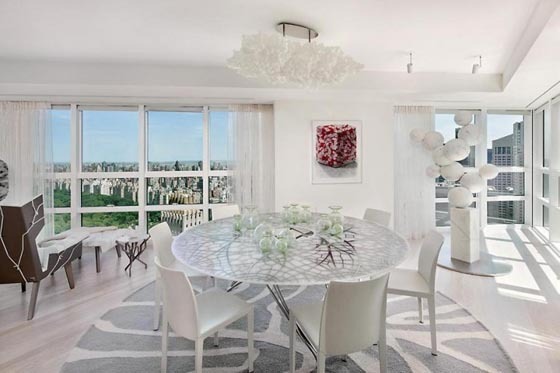 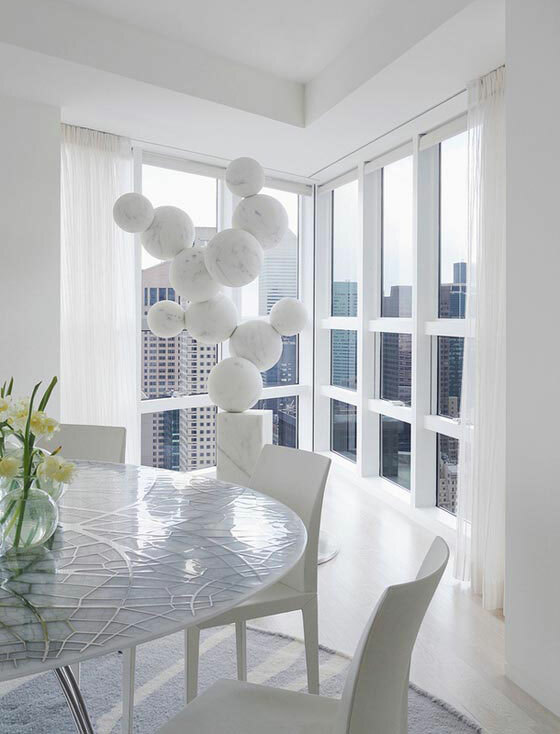 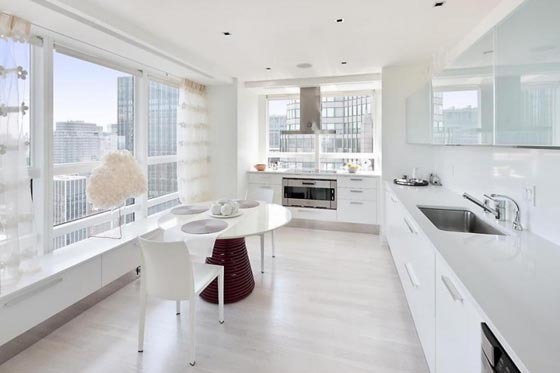 This stunning luxury apartment was designed by architect /designer Robert Couturier on the 59th floor of the Metropolitan Tower skyscraper, in New York. 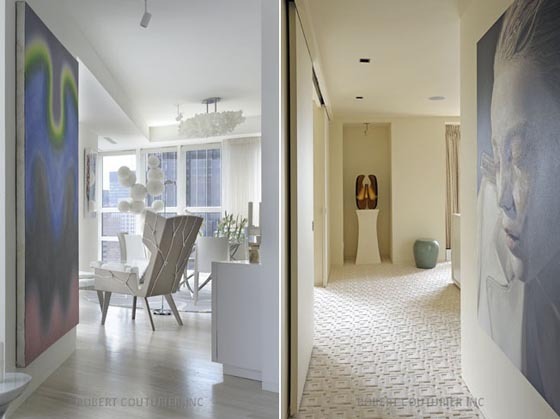 Due to client’s one primary desire: something ultra-contemporary, the 4,198 square foot living space features an open art gallery feeling that captivates you upon entrance. 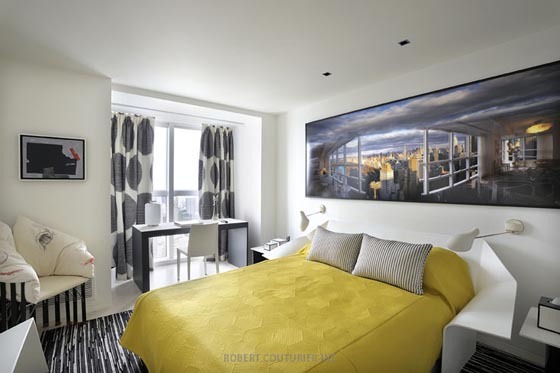 Each room comes with its special design features and the museum-quality selection of contemporary furnishings complemented by reflective surfaces. 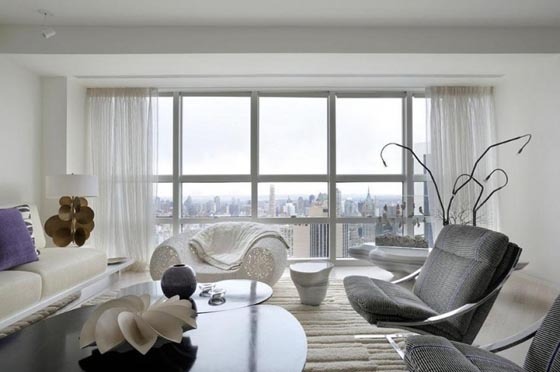 The most “fabulous” interior is the glass-curtain wall overlooking Central Park, resulting in a visual treat and enhancing ultra-modern place.